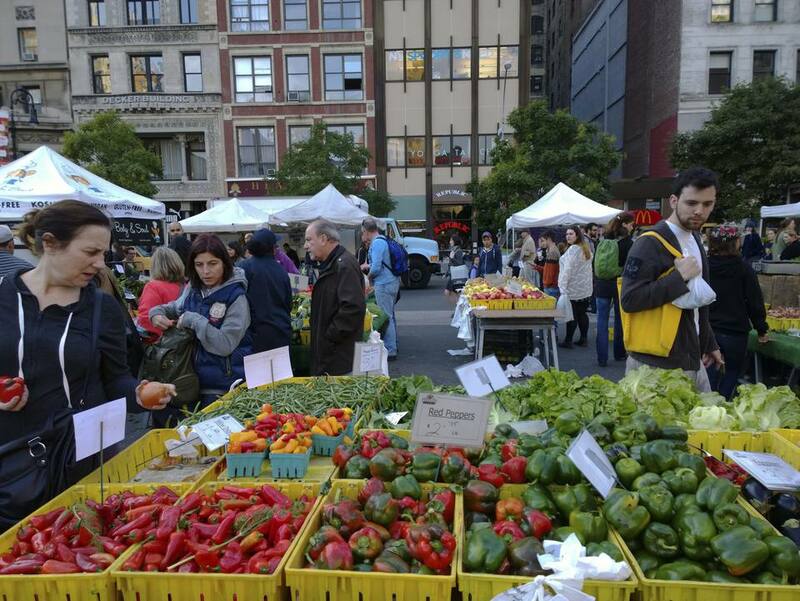 And, While We're At It, What Is a Greenmarket? A farmers market (also known as a greenmarket) is, in its purest incarnation, a place where farmers sell their products directly to consumers. This may happen in a designated building, a parking lot that's empty on the weekend, a blocked-off section of a street every Wednesday afternoon, a field, under the rotunda of a shopping mall, or anyplace else organizers can make happen. Ultra-fresh produce, pastured meat and eggs, artisan cheeses, hand-harvested honey, and other fresh, small-batch foodstuffs are the hallmark (and benchmark) of the best farmers markets. High quality farmers markets see themselves not just as a places for farmers to get the best price and consumers to get the best products, but as venues for producers and consumers of food to come together, forge relationships, and exchange information. Some farmers markets will post that they are certified or verified. This means the market has rules about who can sell and what can be sold at the market. Such rules usually run along the lines of farmers being able to sell only their own produce and vendors of cooked food or crafts as having had to make their products by hand. Certified farmers markets are run by groups (usually non-profit) that set up the markets (and take them down), vet the farmers and producers, and even visit the farms and producers to verify that they grow what they say they grow and follow the practices they claim they do. They often have an application process to accept new vendors, and even run education programs in schools, have fund-raising efforts to support low-income shoppers, and generally work towards a better and more equitable food system. Along with fruits and vegetables, most certified farmers markets also have vendors selling items like eggs, honey, and cheese. Some will also feature poultry and meat, and markets near coats often have seafood for sale. Bakers and jam-makers are featured at plenty of markets and, especially at bigger markets that are a draw on weekends or near businesses during lunch, will have stands—sometimes from local restaurants—selling ready-to-eat food. Some self-proclaimed "farmers markets" are just markets where vendors sell produce they bought from wholesalers and then re-sell it to consumers. Are there bananas at your farmers market in Minnesota? Notice boxes of produce from distributors instead of farms? Be suspicious. That produce is the same that is available in supermarkets. If it's a convenient place to shop, great, but if not, why go to the trouble of going to a farmers market? Alternate Spellings: farmer's markets, farmers' markets. Wondering why we use "farmers market" and "farmers markets" without the apostrophe? It's simple: an apostrophe turns it to farmer's market or farmers' market, which makes "farmer" and "farmers" into possessives, and it is extremely rare that the farmer or farmers actually own the market. Farmers markets tend to be markets that feature farmers, but which the farmers themselves do not own, hence no apostrophe. Get tips on shopping at farmers markets here.